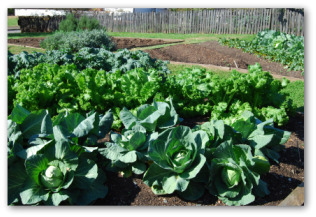 Tips for growing kale in home vegetable gardens. 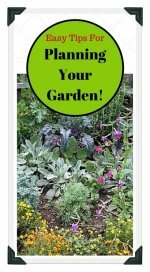 Learn how to plant, grow, and care for kale plants in your garden. 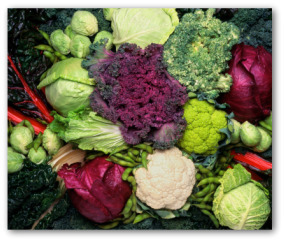 Kale is a member of the brassica or cabbage family; along with cauliflower, brussels sprouts, and collard greens. It is considered a cool weather vegetable. Kale is frost tolerant; and the taste grows sweeter after the plant is exposed to a frost. Kale is rich in many important nutrients such as calcium, iron, vitamins C and K, and Carotenoids. Kale is thought to be the hardiest of all vegetable plants. It is also usually not susceptible to garden pests or diseases. Ornamental kale plants are often used for their colorful purple and green leaves as a winter-growing decorative plant. The vegetable kale can reach up to 12 inches high and spread as far as a foot. Kale can tolerate partial shade as long as the plants receive five hours of sunlight per day. The plant is very frost tolerant and can survive heavy frosts. Kale prefers a pH level of 6.0 to 7.0. The hardy cabbage has curly dark green leaves and no heart. Although, we still love the vegetable! In springtime, plant kale five weeks before to two weeks after the last expected frost. In the autumn, kale can be planted six to eight weeks before first expected frost. The flavor of the fall crop is best when kale is put on hold until after first frost. Plant kale seeds at a planting depth of ¼ to ½ inch. Space plants in rows of 12 to 18 inches. Spacing of beds should be 10 to 15 inches apart. The best soil temperature for germination is 40 to 70 degrees F.
The ideal soil temperature for growing kale is 60 to 70 degrees F.
Days to maturity is 55 to 75 days after direct seeding in the vegetable garden. Expect a harvest in 30 to 40 days from transplants. Kale does not typically grow well in the greenhouse. Any variety can be successfully grown in eight inch wide containers that are eight inches deep. Meeting the water requirements for growing kale is important for good production. Make sure the plants get at least one inch of water each week from watering or rainfall. Kale likes lots of water so for maximum productivity give it up to a half inch more than normally required every week. Apply compost or timed released fertilizer in spring. Give the plants monthly supplemental light feedings of foliar spray or side dressings throughout the season. Kale is known as a heavy feeder. For maximum production, in addition to the aforementioned once a month spring feeding, a second light feeding can be applied every two weeks during the growing period. Kale plants especially benefit from a side dressing when the plants are six to eight inches high. 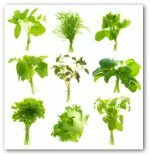 Additionally, use foliar sprays of liquid seaweed extract several times throughout the entire growth cycle. Depending on the variety, kale plants should have tender, crisp bright green to blue-green colored leaves at harvesting time. Frost improves flavor of growing kale, so wait until after the first frost to harvest. You can expect to yield 15 to 30 pounds of kale from a 24 square foot vegetable garden bed. One bushel equals 18 pounds. Generally, 6 to 9 quarts can be canned or frozen from one bushel of fresh kale. To keep fresh kale up to 2 weeks, refrigerate in plastic bags. 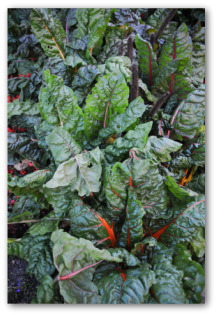 For a longer term storage method, mulched kale survives in the vegetable garden for two months from first frost. The produce can also be canned or frozen and kept for a year.